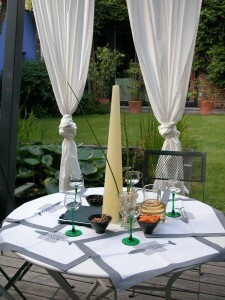 Welcome at Compagnons11, a charming bed & breakfast in the historical center of Mons (Belgium). Favoring charme and comfort, we have established, in our house, two enjoyable guest-rooms, one facing the street, the other one facing the garden. Our pretty old house is located in a very quiet area of Mons between the Market Place and the Railway Station, very close to the major touristic sites (Grand-Place, Belfry, Collegiate church, …) and the most important museums (BAM, MMM, Abattoir, Mondaneum, Duesberg, …). Our lodging offer includes the night and the breakfast. We value people meeting, sharing and exchanging. We like travelling, discovering new worlds, and meeting the other ones. We will be delighted to welcome you whether you’ll spend one night, a week-end or even one week. 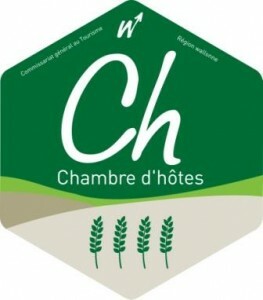 This “Compagnons11″ site will give you all detailed information on our house, our bedrooms and the differents offers. Don’t hesitate to contact us by phone or by mail.